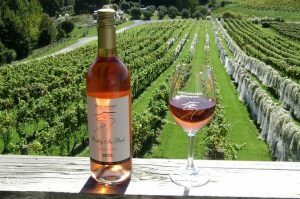 New Zealand has some popular wine manufacturers that are enjoyed both locally and globally as well. These brands and manufacturers leverage the local grapes and vineyards that are scattered across New Zealand, some of which are highlighted below. This is a gorgeous little region located on the south of the island and it produces top quality Pinot Noir, Sauvignon Blanc, Chardonnay and a few new varieties of wine that are set to rise in the market. There are many actual wine brands using the exquisite vineyards of Nelson and these include Aronui Wines, Brightside, Harakere Farm and Kina Beach Vineyard. One of New Zealand’s oldest wine region Auckland is home to some of the best manufacturers of wine in the country and arguably even the world. Auckland has some beautiful vineyards in it and some of the wine you can sample in this city are the full-bodied Syrah, Chardonnay and Merlot. Some of the wine companies producing their exquisite tastes from Auckland include Babich Wines, Destiny Bay, Gillman Vineyard and Kumeu River. Northland is located just 50 kilometres from the ocean, the climate is intensely hot and home to some tropical Chardonnays and Pinot Gris. Popular red wine is also produced in Northland, all of which taste amazing. Some wine brands that use the vineyards in this region are Marsden Estate, Millars Vineyard, Paroa Bay Winery and The Landing. This region has a coastal but still with warm temperatures, the fertile ground is an ideal base for thriving vineyards. The wine production here is mainly based on Pinot Gris, Pinot Noir and Sauvignon Blanc. Some wines that you can enjoy that have been created from the grapes in Bay of Plenty includes Volcanic Hills Winery and Rochfort Rees Wine Company.